The best Dodger of the 1960s was pitcher Sandy Koufax. He and fellow pitcher Don Drysdale held out for higher contracts together and discovered the leverage of collective bargaining. Drysdale and Koufax had each been offered Hollywood contracts and already appeared in television and film productions. When the Dodgers were faced with losing two of the top pitchers in baseball, they eventually moved toward the pair's demands. Koufax had greater success in pushing back against traditional power structures due to his great fame, enhanced by television appearances and coast to coast media coverage. Leahy portrays the tension that Dodger players felt, even as they lived the dream of playing in the big leagues. They carried personal anxieties and national tragedies onto the playing field even as they looked for ways to spark a labor revolution of their own. The political and rights revolutions of the 1960s, the assassinations of President John Kennedy, Martin Luther King, Jr., and Robert Kennedy, and the intensifying war in Vietnam were known throughout the world due to the medium of television. Baseball was changing as a result of broadcasts as well. Players were told that "pay TV" promised big paydays in the coming decade. But major leaguers were not prepared to negotiate a television contract, as they had not even claimed a fair share of profits from Topps baseball cards. 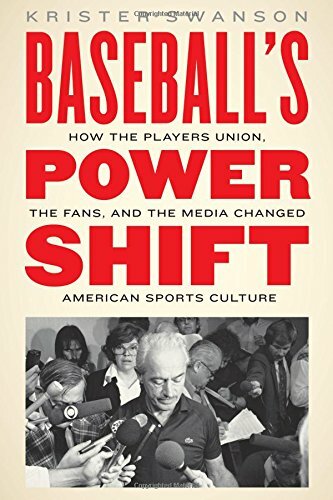 In Baseball's Power Shift: How the Players Union, the Fans, and the Media Changed American Sports Culture, Krister Swanson explains how the press and public opinion helped the players organize against the paternalistic system of baseball owners. 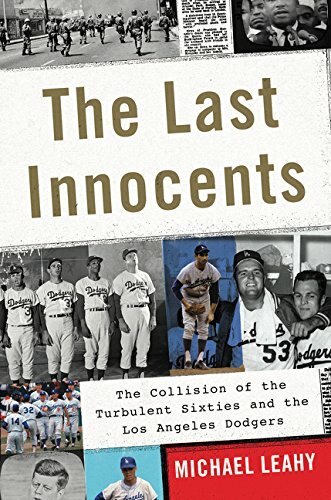 For baseball players to earn respect—and a more equitable share of the massive profits the game promised—they had to overcome decades of government and legal reinforcement of the reserve clause, which bound each player to one team unless that team decided to release or trade him. This was one of the longest-standing and most powerful traditions in baseball, and it gave all control over compensation and contracts to the team owners. Players were treated like a laborer in a manufacturing business; their work served the interests of the ownership. Fans saw players as something other than factory workers; their relationship was more like that of a patron to an artist. As athletes became more recognizable and familiar due to marketing and television, fans followed star players and tracked their individual success. This empowered players with leverage and public support as they started to organize. Change came with Marvin Miller, the decidedly un-athletic labor lawyer who had represented the United Steelworkers, and led the MLB players union starting in 1966. His efforts to organize a powerful negotiating force were met with resistance by the owners, but also by some commentators, who saw in his work a reflection of anti-establishment protests over the Vietnam War and Civil Rights. Yet, the players and Miller were also portrayed as greedy as they sought a larger share of team profits and control over their playing careers. A key turning point began a month after Richard Nixon's infamous "silent majority" speech in November 1969. Baseball owners had echoed Nixon's call for calm and respect for authority from the players. In December, centerfielder Curt Flood was traded from the St. Louis Cardinals to the Philadelphia Phillies. He was in the prime of his career, having won seven consecutive Gold Glove awards at one of the toughest defensive positions. Flood admired Martin Luther King, Jr., whom he met on multiple occasions. A gifted artist, Flood painted a popular portrait of the slain leader. For Flood, the trade was a violation of his rights guaranteed by the 13th amendment that banned involuntary servitude. The Supreme Court ultimately heard Flood's case in 1972, ruling 5-3 against him and in favor of baseball's retention of the reserve clause. Thurgood Marshall authored the dissenting opinion, arguing that baseball players were just as deserving of their rights under the law as any other citizen. Although Flood lost his case, Marshall, Flood, and Miller pointed toward a strategy that would turn public opinion toward the rights of players to have a role in shaping their careers, and a means for collective bargaining. After Flood's holdout, more players and fans agreed that the reserve clause had to be altered to give some level of free agency to players. The tradition of keeping players subservient to ownership for their entire career was losing support. The traditional look of baseball was challenged as teams looked for ways to capitalize on the cultural shift of the 1960s. The most innovative and non-traditional team of this period was the Oakland Athletics, owned by Charles O. Finley. 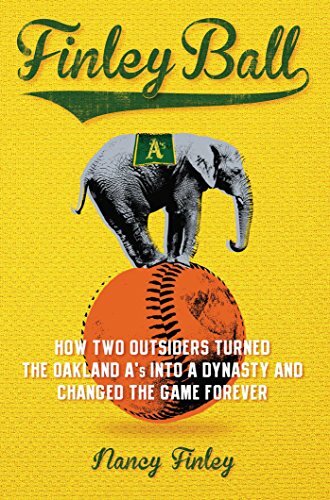 Finley Ball: How Two Outsiders Turned the Oakland A's into a Dynasty and Changed the Game Forever is a recollection by Nancy Finley, the owner's niece. Her father, Carl Finley, helped his brother Charles manage the business affairs of the A's, first in Kansas City, and later when they moved to Oakland for the 1968 season. Charles Finley challenged the traditional corporate structure of his fellow baseball owners, and they rejected him for it. He was a self-made man who grew wealthy in the insurance industry and considered himself an innovator and marketing genius. Among his ideas to liven up the game were the designated hitter, day-glo orange baseballs, and a donkey mascot named "Charlie O" after the owner himself. He tagged his star players with nicknames so that they would be more memorable to fans, and it worked for Blue Moon Odom and Catfish Hunter. He hired 11-year old Stanley Burrell—later to earn fame as rap star MC Hammer—as a team executive and his clubhouse spy. Tradition was nothing but a nuisance to Finley. The first players strike took place at the start of the season in 1972, another step toward shifting power from owners to players. 1972 was eventful in many other ways. It was the year of Nixon's campaign against McGovern, which included the Watergate break-in. Nixon went to China that year, J. Edgar Hoover died, and The Godfather won best picture. Jackie Robinson died three weeks after throwing out the first pitch for game two of the World Series. Hairs vs. 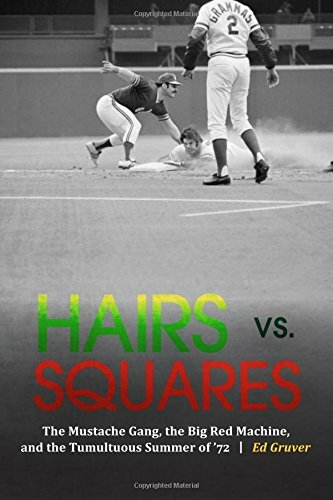 Squares: The Mustache Gang, the Big Red Machine, and the Tumultuous Summer of '72, by Ed Gruver, documents the 1972 season from the strike through game seven of the World Series between the A's and the Cincinnati Reds. The Reds represented stereotypes of the Midwest. Their team was sparked by the ultra-competitive Pete Rose, an all-star player who compensated for a lack of physical giftedness by outworking and outhustling his opponents—and then telling you all about how he did it. The Reds abided by the traditional appearance guidelines of baseball: high stirrup socks, clean-shaven faces, and moderate hair length. The Oakland A's of 1972 were a contrast, literally and symbolically. Oakland was home to the Black Panthers and Hells Angels, and racial tensions and protests continued in the Bay Area that year. Charlie Finley had selected bright green and yellow uniforms, gleaming white cleats, and strongly encouraged long hairstyles as well as mustaches and beards. Star outfielder Reggie Jackson had grown a mustache at the start of the season, which made him the first big leaguer on record with facial hair since Wally Schang in 1914. The notoriously cheap Finley seized the opportunity and paid his players a bonus of $300 to wear a mustache for the season. On Fathers' Day, any fan with facial hair got into the A's game free. Soon the whole team sported mustaches, and the A's stood out against the traditional clean-cut image of ballplayers. Reds General Manager Bob Howsam thought the A's were a joke. He had taken the Reds policy against facial hair so seriously as to remove the 19th century-style handlebar mustache from the "Mr. Red" mascot on the team logo in 1968. One Oakland columnist derided Reds manager Sparky Anderson as a "short-hair freak." Oakland versus Cincinnati represented innovation and splashy marketing against tradition and values. Soon baseball players would persevere against the reserve clause and open a new era of moderated free agency. The traditional power structure of America's pastime was slowly shifting. In recent years, Major League Baseball has struggled to compete for viewers and fans as louder and faster sports attract attention away from the deliberate nature of baseball. In response to this market competition, teams have enhanced their ballparks with amenities such as playgrounds, gourmet dining, boutique shopping, carnival games, party decks, and of course, ample Wi-Fi and device charging options. It is possible for a fan to purchase a ticket to a baseball stadium, remain occupied with options within the stadium, and never sit in a seat and watch the game. Baseball's distinctive appeal to a simpler time directly challenges the drive to reinvent the game for television, Internet, and the drifting attention of casual fans. Baseball's tradition problem comes in protecting the valuable tradition of the game, while simultaneously responding to changes in technology and society. This is why baseball is often presented with romanticized, even religious imagery. Romanticized paeans to the game, found in the verse of Bart Giamatti or the play-by-play of Vin Scully, carry the weight of a vicar's homily. The ballpark is the "green cathedral" and the playing field is the "emerald chessboard." Abandoned ballparks, such as Detroit's Tiger Stadium, are viewed as hallowed ground. This often results in decades of internecine battles to preserve the space for its holy purpose of ball playing. When the stadium is demolished, fans continue to make pilgrimage to see any remnant of the old facility. Relics of the old game—historic balls and other equipment—regularly fetch millions at auction. A line of popular baseball cards even features shreds of actual game worn uniforms, offering fans the chance to own a holy relic of the game. Like religion, baseball has its doctrinal guardians who protect the integrity and purity of the game. While innovators may contrive new and popular ways to celebrate the sacredness of the game, these methods remain subservient to the traditions and foundational ideals of the game that were handed down at its creation. There are even parallel debates over the question of origins, with purists protecting the Doubleday myth while modernists appeal to historical criticism to find a more moderated evolution of the early game into modern baseball. Baseball's dilemma is that the romanticized view of the game is a fantasy. Nostalgia for a simpler past also gives baseball its appeal across class and political boundaries. Fans from a variety of viewpoints can share in the joy of celebrating their shared team allegiance. But the same ballpark that is a respite from work and family pressures also displays class distinctions between the luxury boxes and the bleachers. In order to perpetuate the myth that baseball is insulated from the world around it, each player has to suspend the burdens of life and maintain an outsized affection for playing the game. This is the challenge of the game for the fans, and also the men who play and participate in it. Baseball has been at its best when tradition was strong enough to bend toward a changing world while maintaining the great and unique character of the game. Michael Hammond is Academic Dean of the Arts, Humanities, and Biblical Studies at Taylor University. He is also editor of the "Religion in American History" blog.